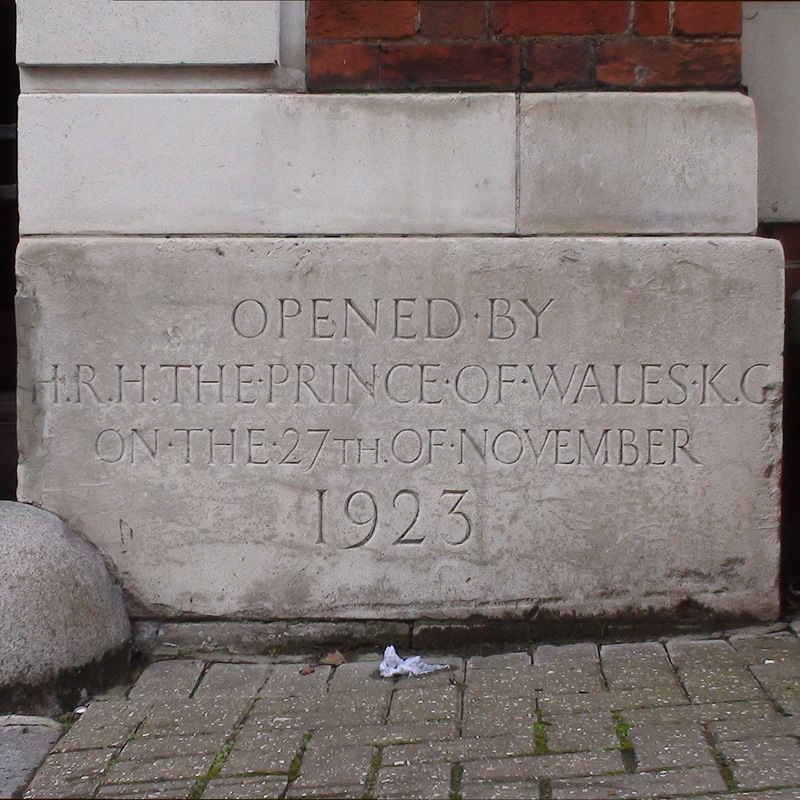 Opened by HRH the Prince of Wales KG on the 27th of November 1923. In 1923 the Prince of Wales was Edward, who later became, briefly, King Edward VIII. 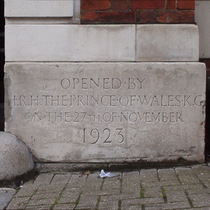 The two plaques refer to the construction of the new Royal Northern Hospital Casualty Department, July - November 1923. The building itself was created as a war memorial, with a list of the fallen inside an arch. This arch is all that remains of all the hospital buildings that used to be in this part of Manor Gardens: the Nurses Home, St David's wing and the Casualty Department. Even this structure has not been left alone. We can't find an image of the arch as originally built but the second floor is of a more recent design.